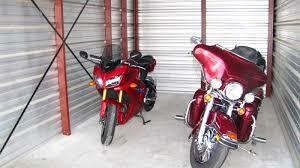 A wide assortment of storage units, including outside storage facilities, are available for you to rent from Rt. 140 Self Storage in Gardner, Massachusetts. The units at our are competitively priced with the most affordable rates in the area. Every storage unit we offer is drive-up accessible and located on one level. There are more than 375 units for you to choose from, with large and small options. Thus, you can safely store antiques, furniture and other valuables in addition to large commercial items. Leave your RVs, boats, trailers, cars and construction equipment in a safe, secure location with our outside storage. The space is well lit, monitored by security cameras and located at the back of our facility where there is no full entryway for those accessing their inside storage units.